Santa Sabina College 90 The Boulevarde, Strathfield , NSW, Australia. 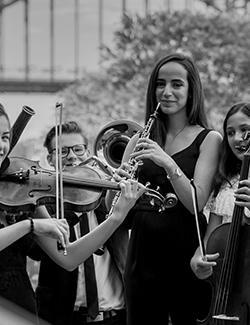 Applicants for SYO 2019 Auditions are invited to the Sydney Youth Orchestras Audition Information Session. The Audition Information Session provides new and prospective members with an invaluable opportunity to learn about the SYO audition process. Attendees will hear from esteemed conductors Brian Buggy, John Ockwell, James Pensini and Peter Corkill about how to prepare. The seminar will take place on Saturday 22 September at Santa Sabina College, Strathfield and all are welcome! If you can not attend the seminar, head to the Sydney Youth Orchestras Facebook page where it will be live streamed and able to be viewed at your convenience!